We make available premium Restraind Spring Mount SRSM (25mm) to the length and breadth of the country and abroad. 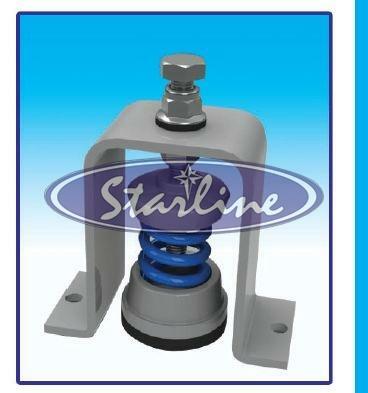 We are a Manufacturer, Exporter, and Supplier of Restraind Spring Mount SRSM (25mm) from Kerala, India. The Mountâ��s design and tolerance is 100% compliant with the standard BS 1726-1:1987 and BS 1726-1: 2002 respectively. It is made felicitous for various applications including cooling towers, vibrations for pumps, and compressors.